It's only fitting that I post this today considering tonight I will be learning some new braid styles with Sara of Project Soiree at Gold Plaited! Dont be fooled by my braiding skills pictured below. This is the full extent of those skills, not to mention I had loads of time to make this one look this good because it was done last summer on vacation in Greece, hence all the pretty flowers behind me! 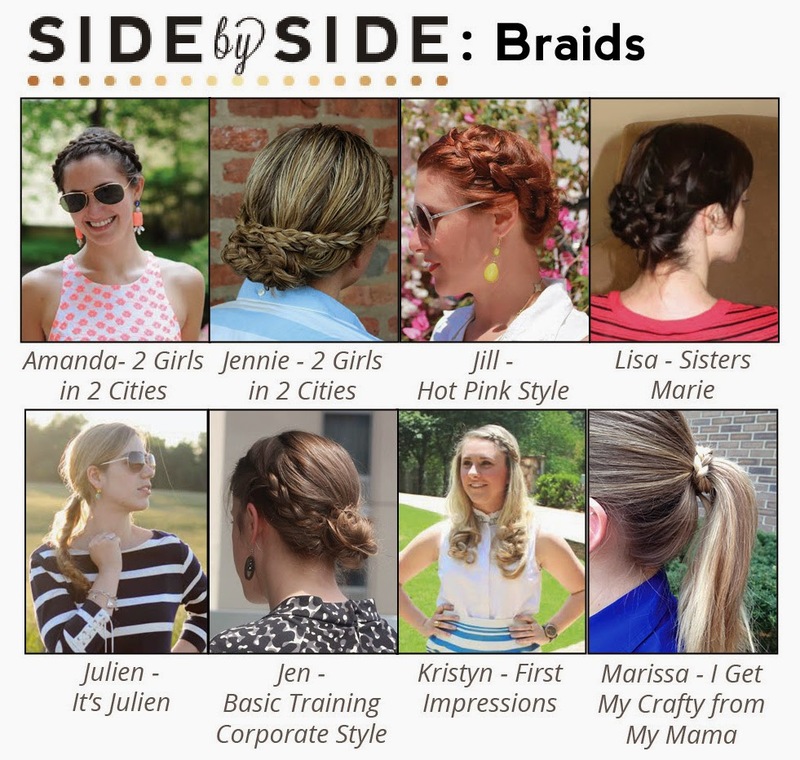 Check out all these talented ladies braids and blogs below! That was kind of a tongue twister huh? Love this! Braids are my go-to for summer because they help my updos looks more chic!